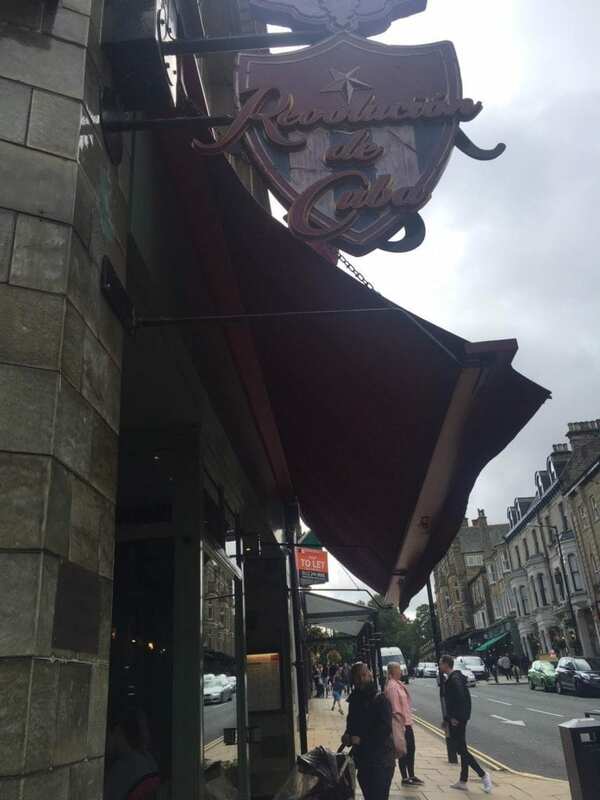 I was a bit dubious when Revolution De Cuba invited us for a family lunch as I’d always associated the place with boozy cocktails and dancing into the early hours. 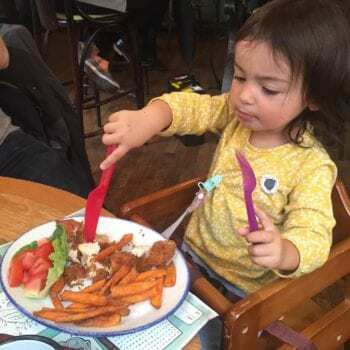 But how wrong was I – it turns out in the daytime it’s a really family friendly restaurant! 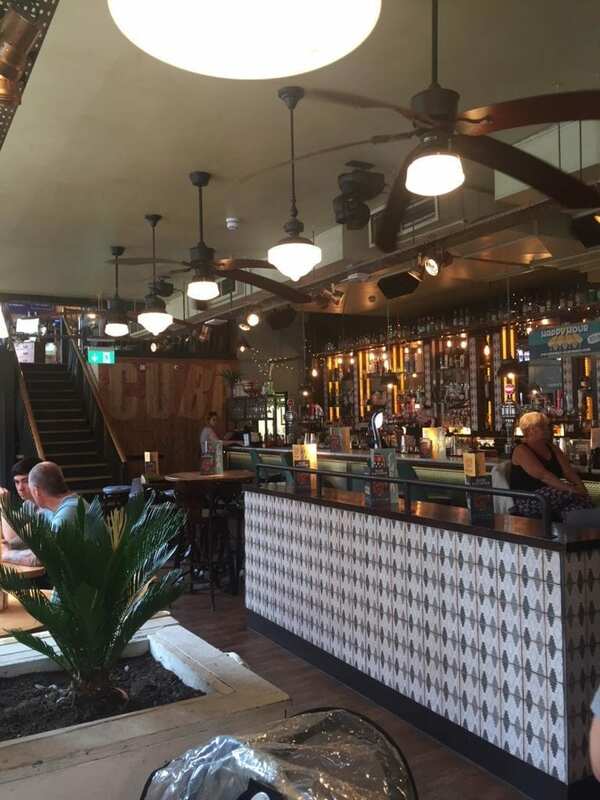 Baby changing facilities, room for buggies and a great children’s menu – Revolution De Cuba has it all! The first big tick is how accessible the place is! We arrived, with a pretty big buggy and a sleeping toddler and we didn’t have a single step to deal with! The place is so spacious we had no problem in manoeuvring the buggy about. There was plenty of space around the table for our buggy, a high chair and the million shopping bags we had with us. I noticed there were a few other families with buggies dining, and all had plenty of space. It was a bank holiday weekend lunchtime too – so the place was pretty packed. Its nice to go to a restaurant where they haven’t tried to fit in as many tables as possible. 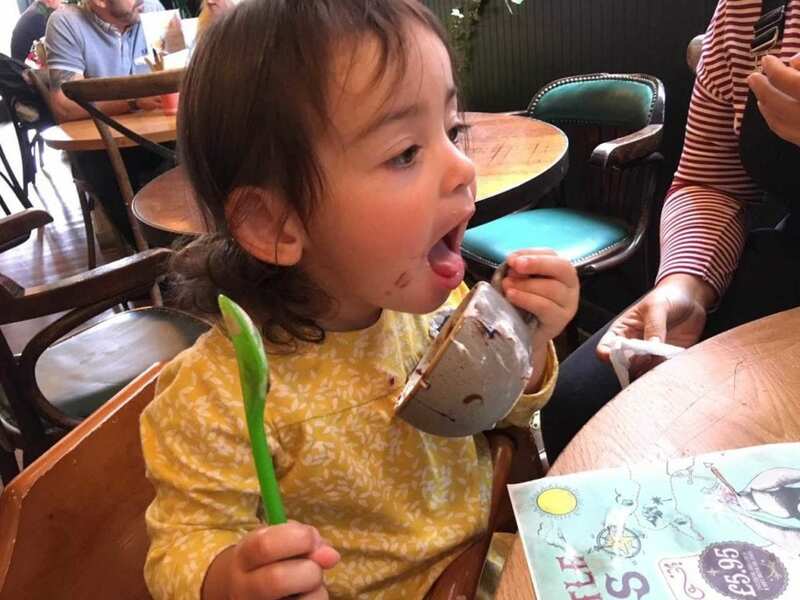 The extra space certainly made us feel more relaxed – even when our toddler decided to make an escape from the high chair we didn’t feel like she was disturbing any of the other diners. 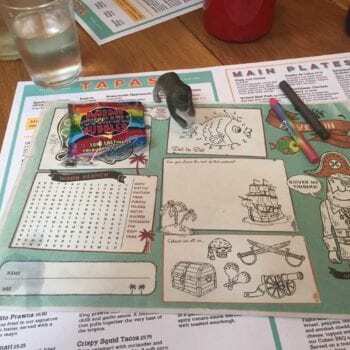 We were seated at our table, given the adult and children’s menu along with an activity pack – including crayons and bubbles to keep our daughter amused. You also get a small cup of nachos to keep you going whilst you peruse the menu. 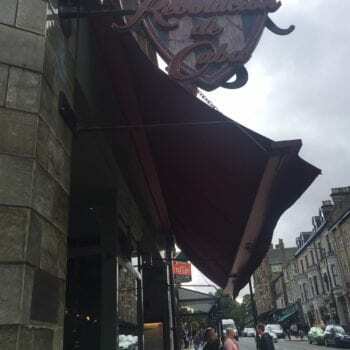 Service was excellent – our waiter was Sam and he was fab – talking us through the menu and giving his recommendations. We opted for 3 tapas dishes for us adults to share as a starter – my favourite being the chorizo croquettes! My husband went for the Cuban Cheeseburger and I went for the Sunshine Salad for mains. All got the thumbs up from us! 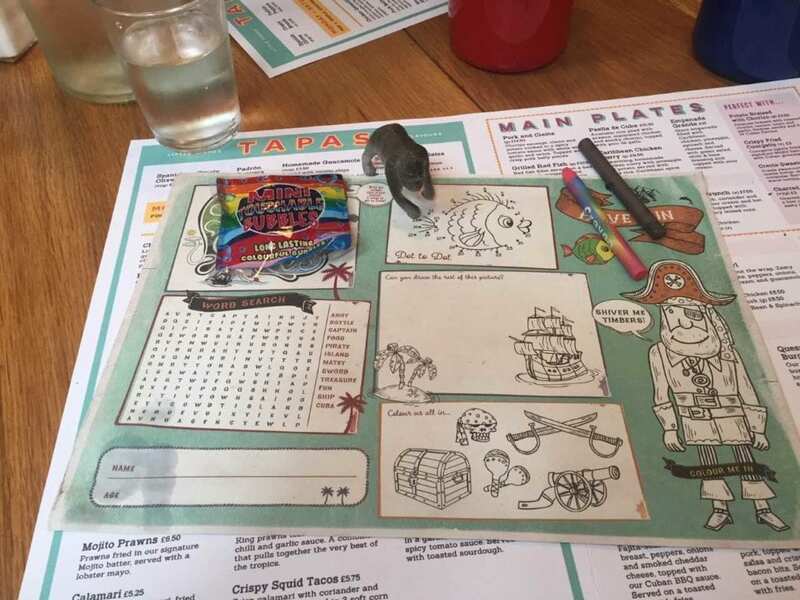 The children’s menu was £5.95 for a main, dessert and a drink. 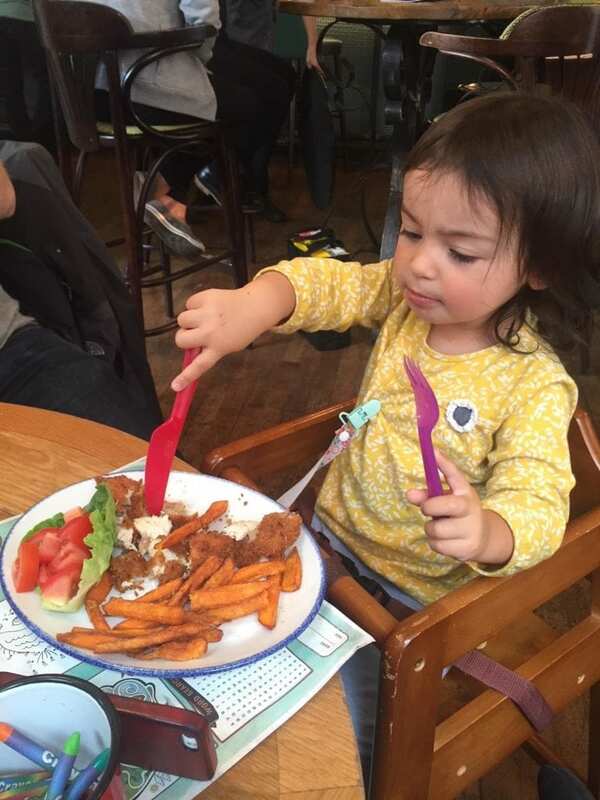 We chose the homemade chicken goujons with sweet potato fries and salad for my daughter. The portion sizes for both adult and children were just right. I also LOVED the fact they had children’s cutlery. 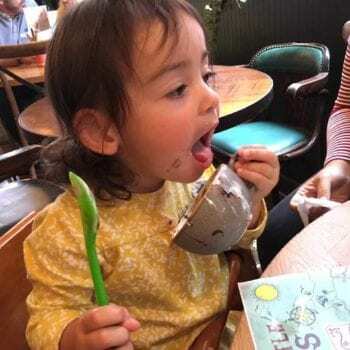 More often then not when we dine out we usually have to deal with my 2-year-old wielding cutlery bigger than her! Her drink – a choice of fizzy drinks or juices – came in a plastic pineapple – she loved it, and so did we. It was knocked over a few times and there were no spillages! 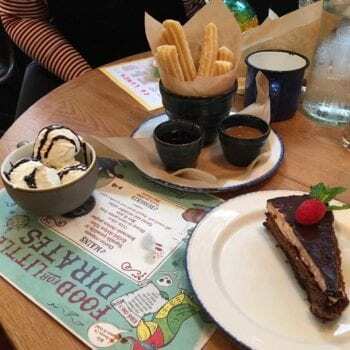 Desserts were ice cream for the little one and chocolate cake and Churros for Mum and Dad. 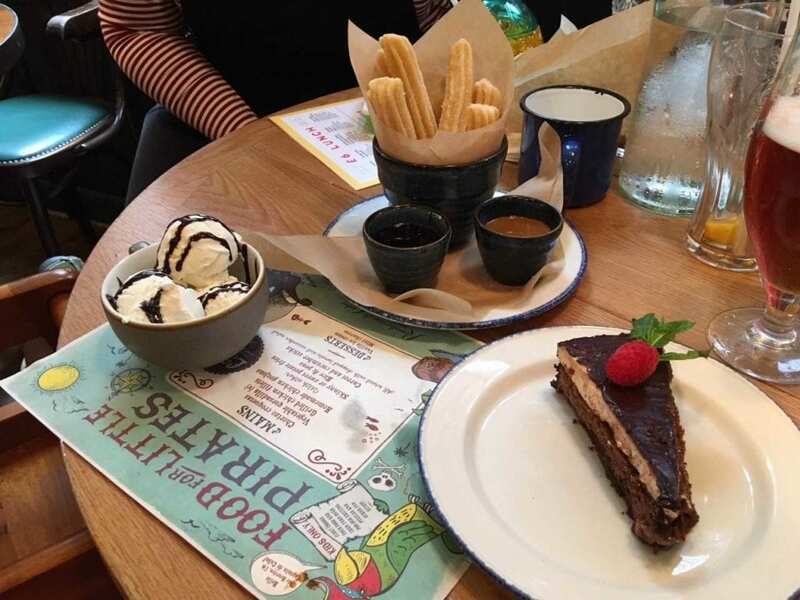 Wowzer – those Churros were gorgeous – and a really generous portion! 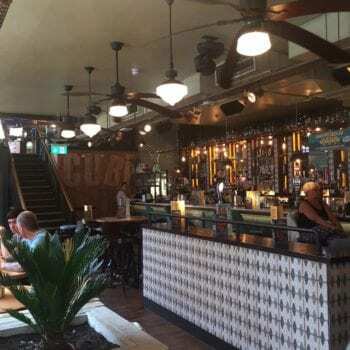 All in all, we had a fab time here, the staff were great and the food delicious – a great family friendly restaurant we’ll be sure to frequent again! Check out their Facebook page for special offers – they usually run promotions over school holidays – kids eat free etc. On last Thursday of every month they also host Boomchikkboom parties – basically parties (discos, bubbles, messy play etc.) for babies and toddler. Turns out partying at Revolution De Cuba isn’t just for the adults!